At a Glance: 500 mg of pure L-Carnitine Single-tablet serving size Provides essential calcium and phosphorous Milligrams of L-carnitine: 1,000 L-Carnitine is an important amino acid that can help transport fat to the muscle to be burned as energy. In promoting better utilization of body fat, it may aid in weight loss and improve athletic performance. 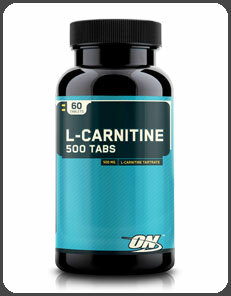 Optimum Nutrition L-Carnitine 500mg, 60 tablets.